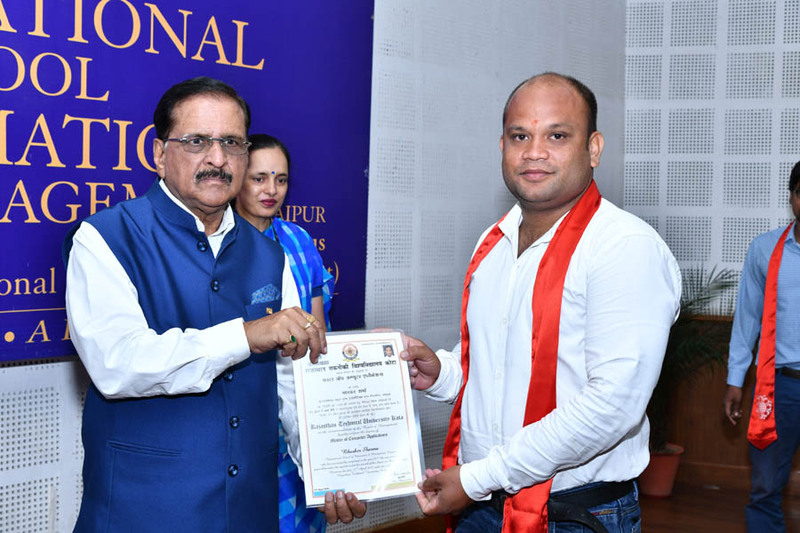 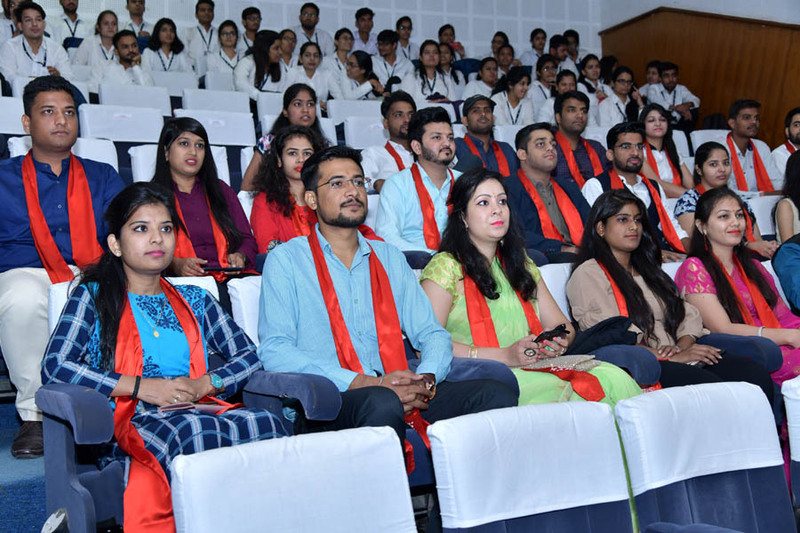 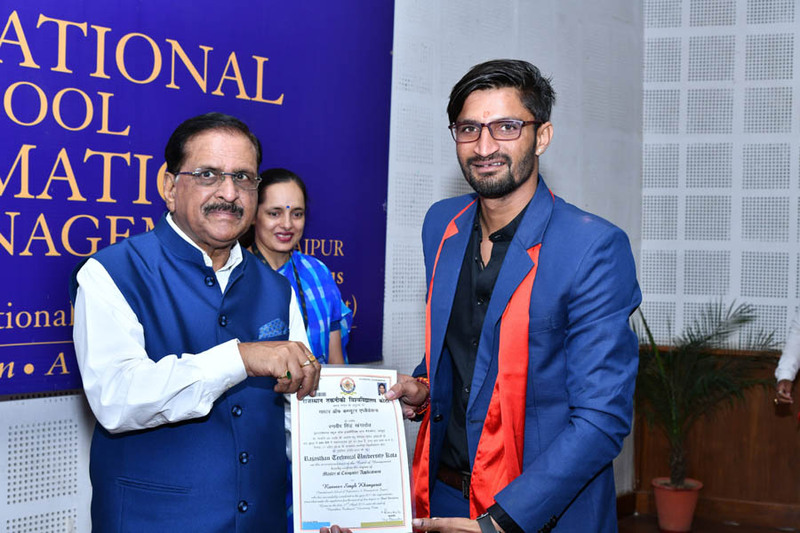 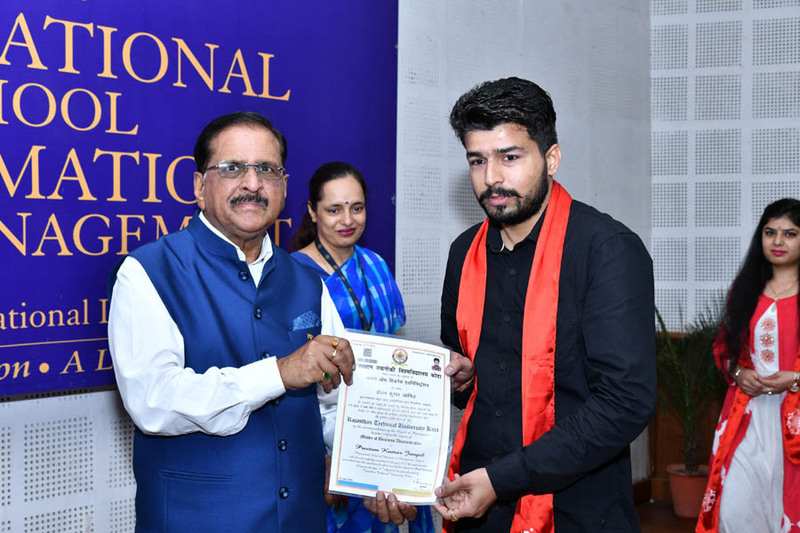 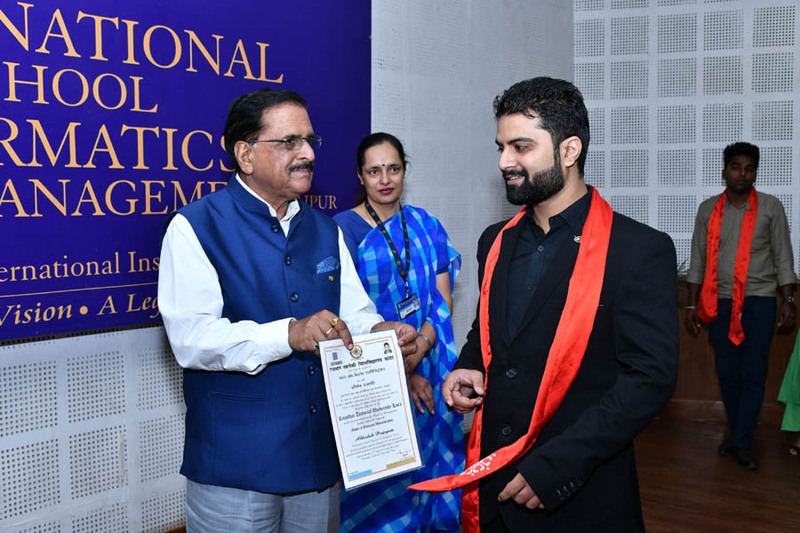 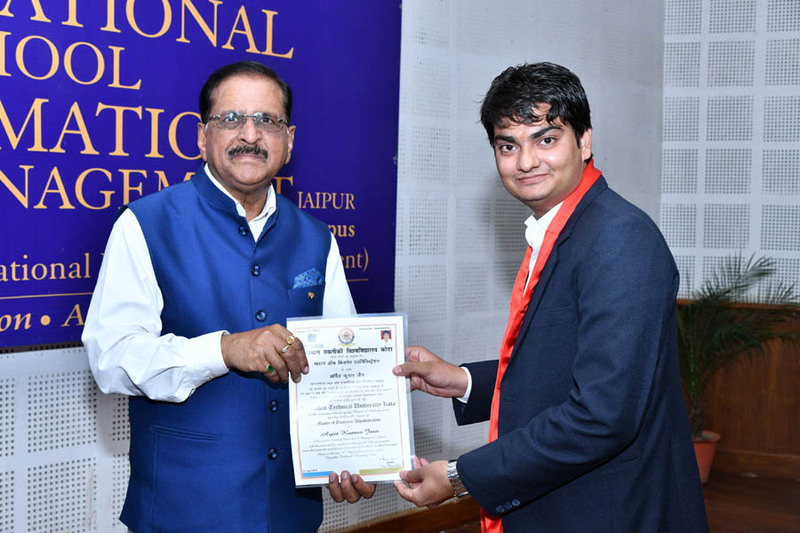 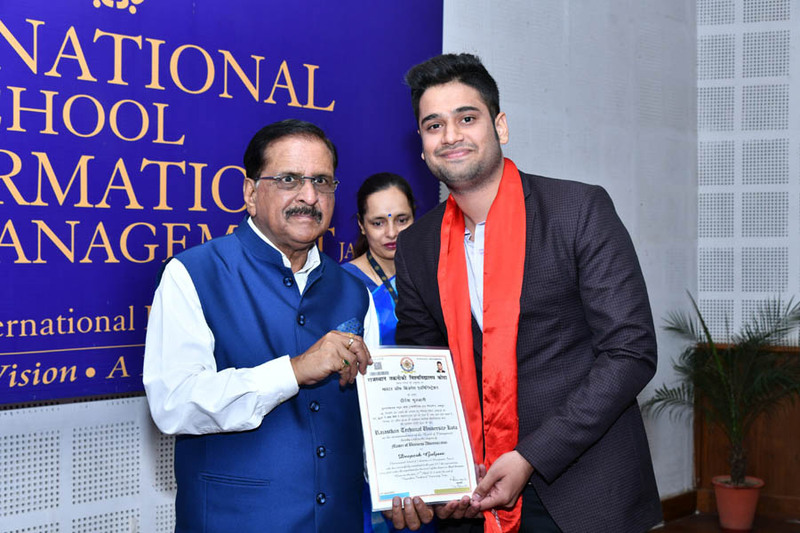 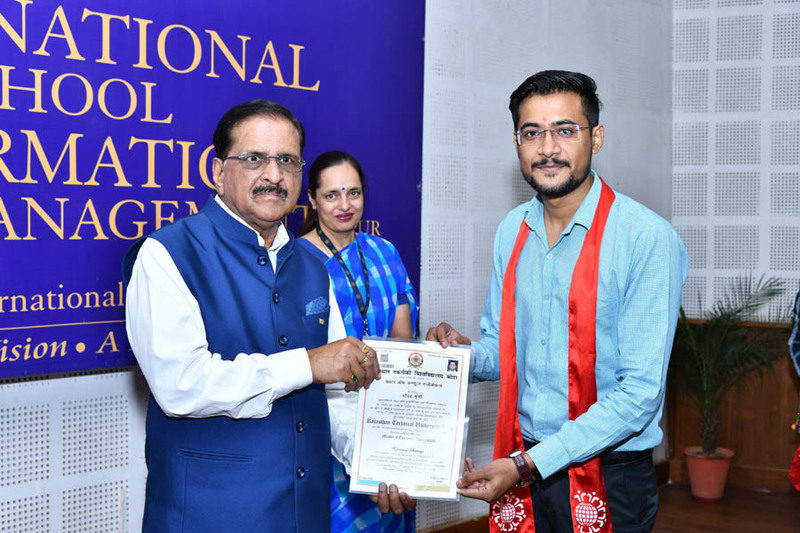 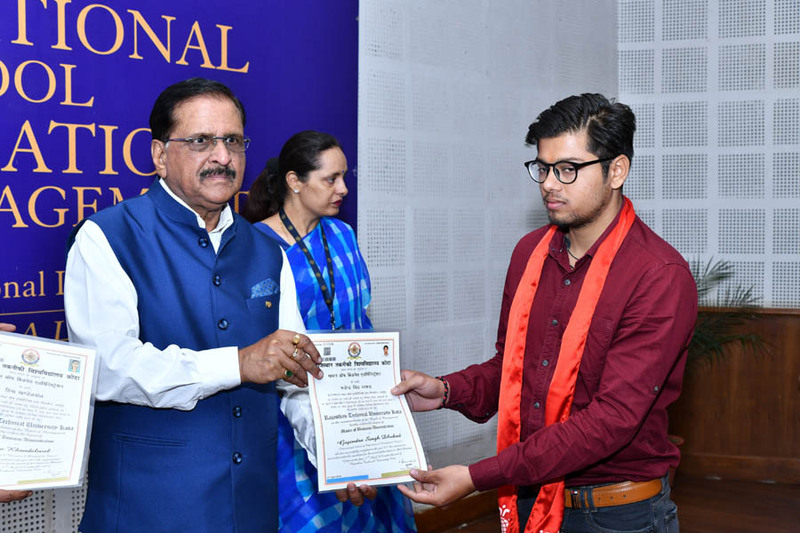 IIIM organized RTU Degree Distribution ceremony on September 27, 2018 wherein more than 192 successfully qualified graduands of MBA & MCA programme received their Masters Degree. 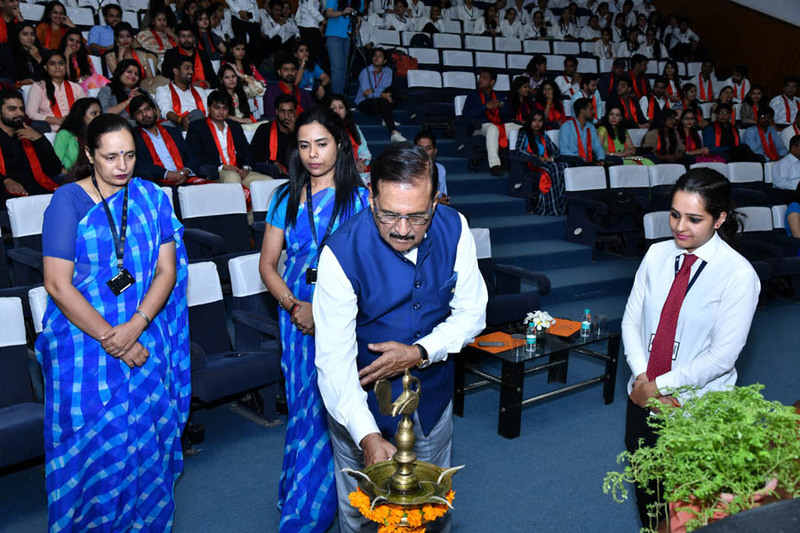 The event started with a melodious Saraswati Vandana, involving the blessings of goddess Saraswati, the goddess of knowledge & wisdom, followed by lighting of lamp by Dr. Ashok Gupta, Director, IIIM. 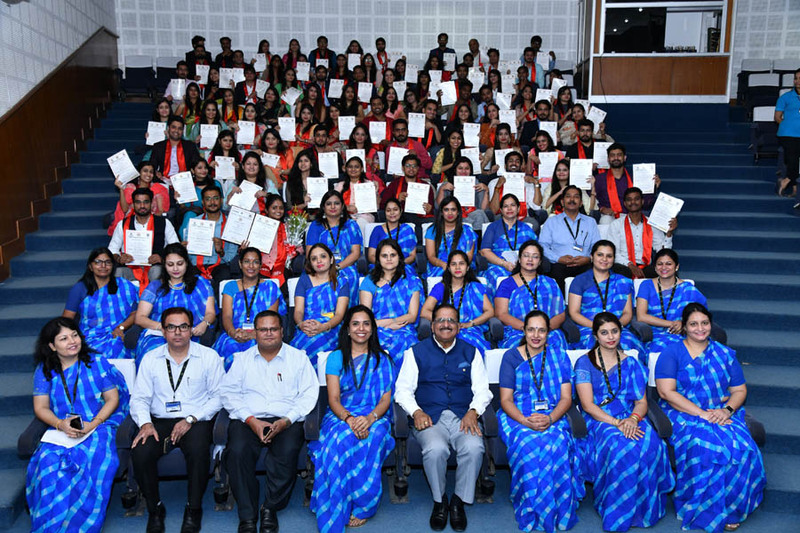 Dr. Ashok Gupta blessed and congratulated the young graduands. 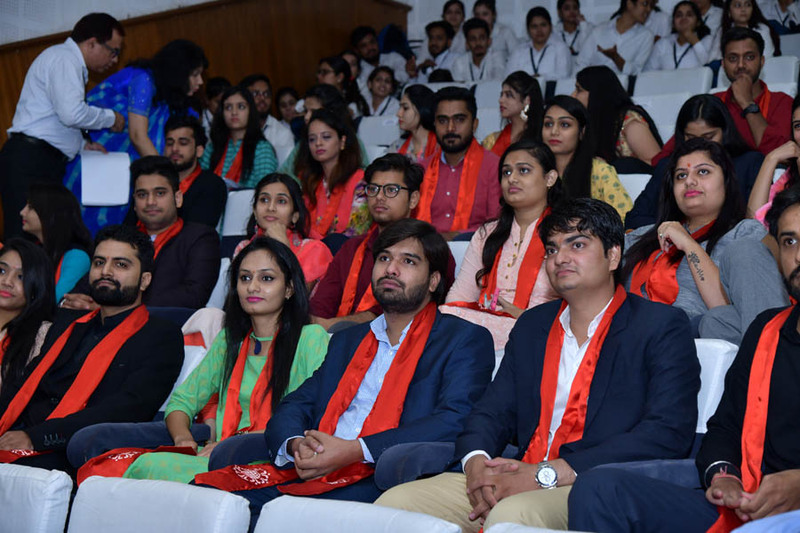 The ceremony progressed by conferring Post Graduation degrees in Management and Computer Application to students of batch 2016. 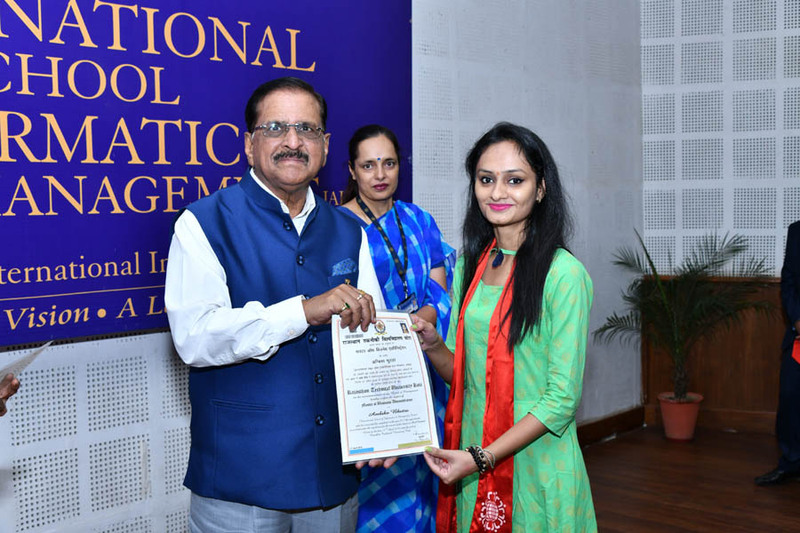 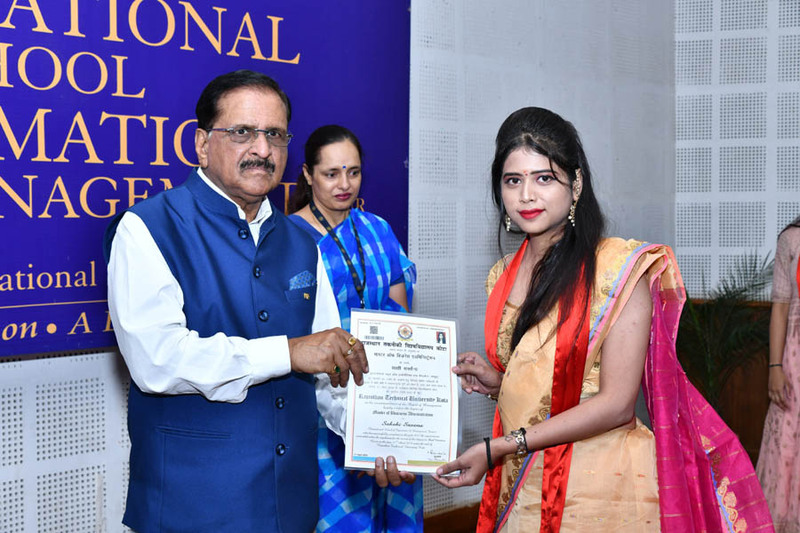 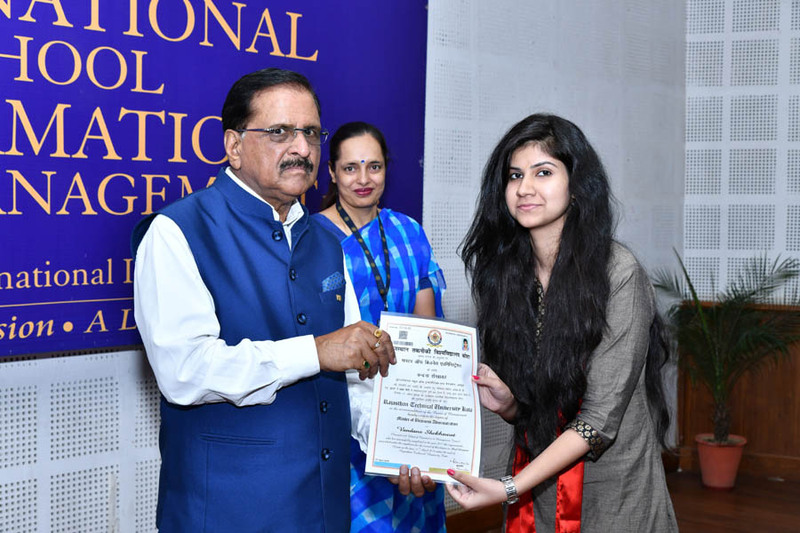 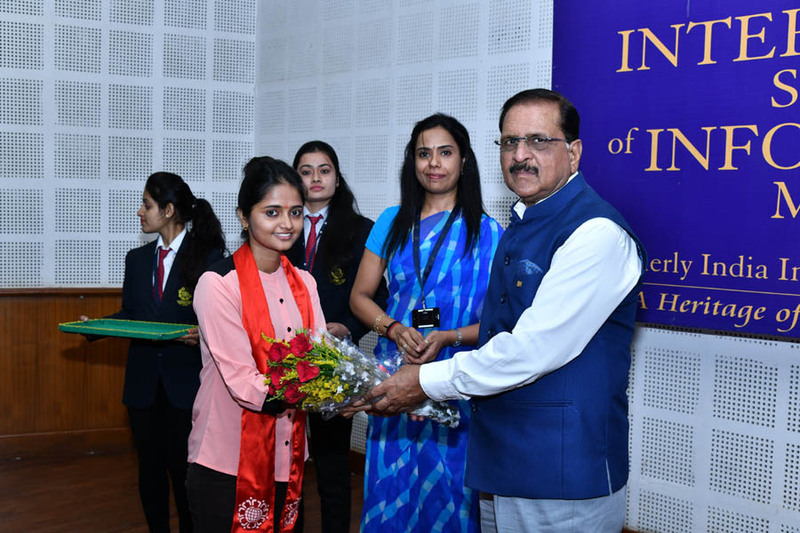 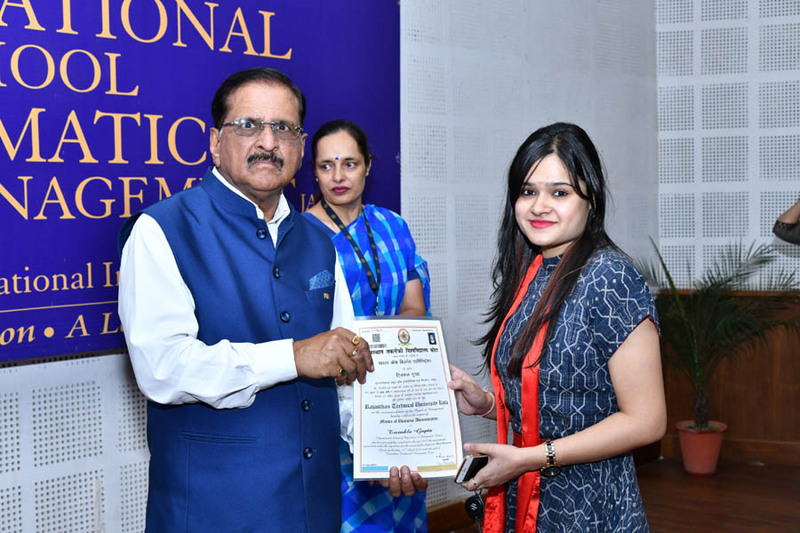 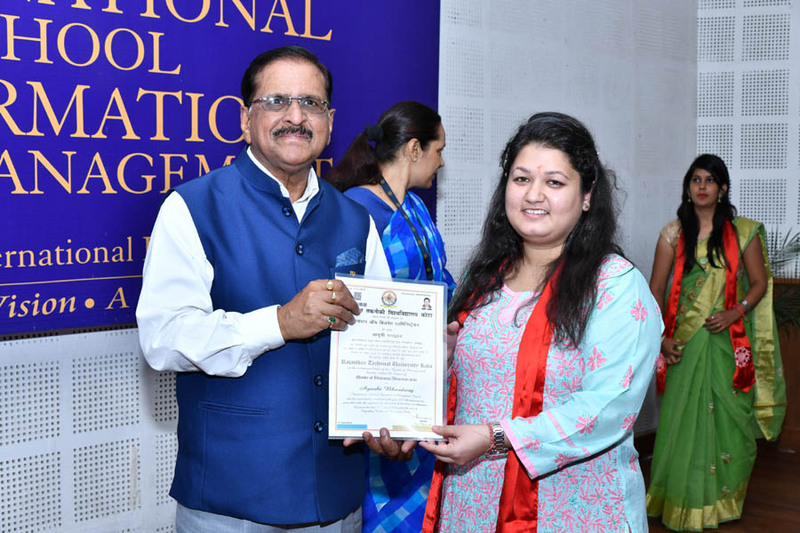 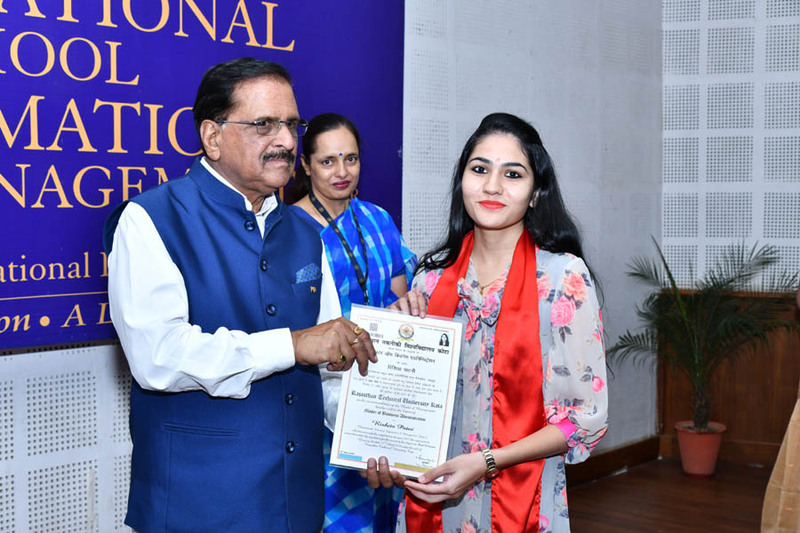 Ms. Jyoti from MCA who has secured 7th position in the merit list and Ms. Megha Jain from MBA who secured 5th position in the merit list were awarded for their Merit Positions. 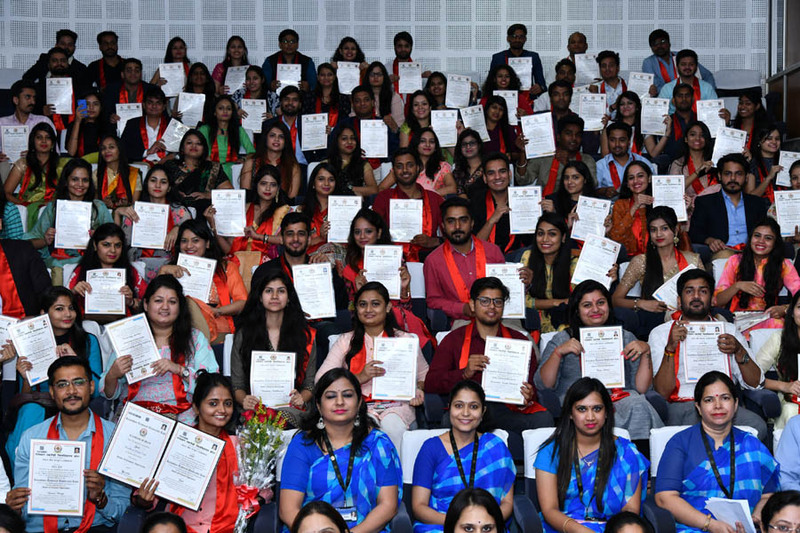 It was an affair of elegance, poise and absolute motivation- one that saw the MBA & MCA graduates taking their degrees and walking down the aisle- proud and beaming with joy. 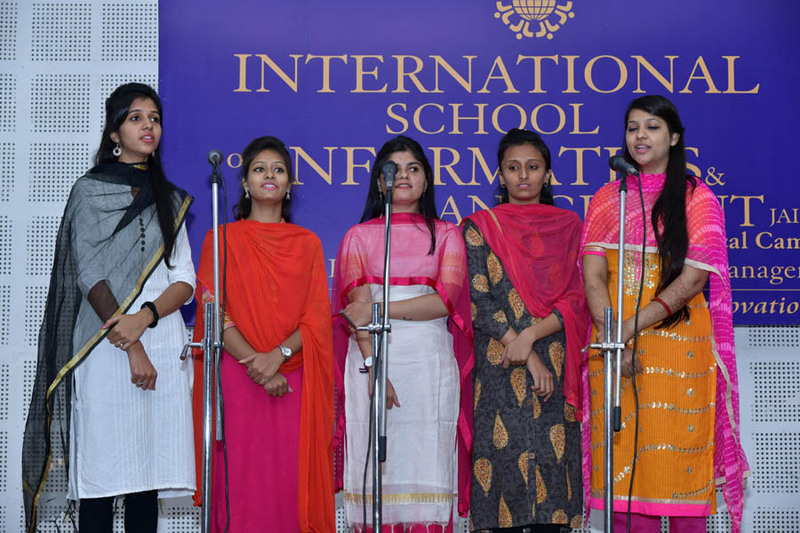 In the end Dr. Manju Nair, Principal, IIIM wished the graduating students- “a glorious future”.